Keegan-Michael Key and Jordan Peele could release a Jim Jarmusch-style film where they talk about Liam Neesons for 90 minutes and people would probably watch it. (We would.) But being “ambitious” and “creative” and all, the duo has bigger plans, as detailed in a recent EW interview. Finally, Peele says he’s working on a horror movie—not a comedy-horror movie, a horror movie—with Darko Entertainment, the same company that produced last year’s Hell Baby (and, uh, Donnie Darko). “I’m a big fan of horror movies. Rosemary’s Baby, Stepford Wives—I’m sort of taking a lead from that genre of film. 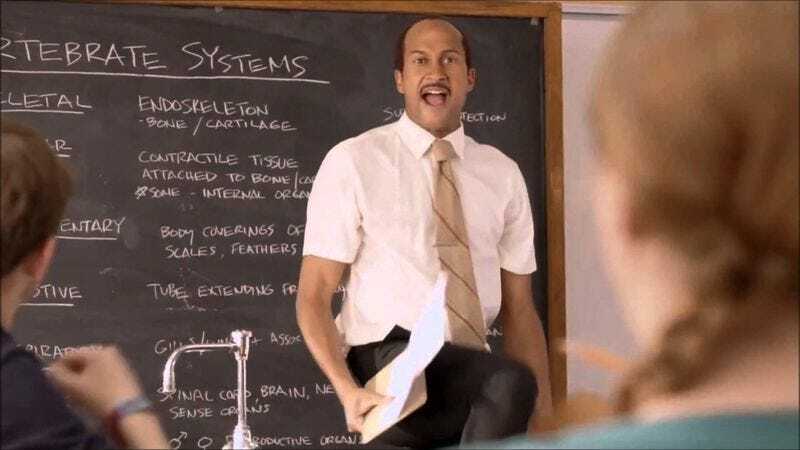 It’ll be, just, very cool,” Peele says.